I just wanted to drop in with a little post with my Edinburgh Yarn Festival haul. If you have listened to Felix and I recollect #EYF2016 then you will have heard me talk about some of these, but I didn’t have any pictures until now. Last year I didn’t have a lot of idea about what I wanted to buy (apart from a loom) and so I just bought things with my itchy knitty grabby hands! 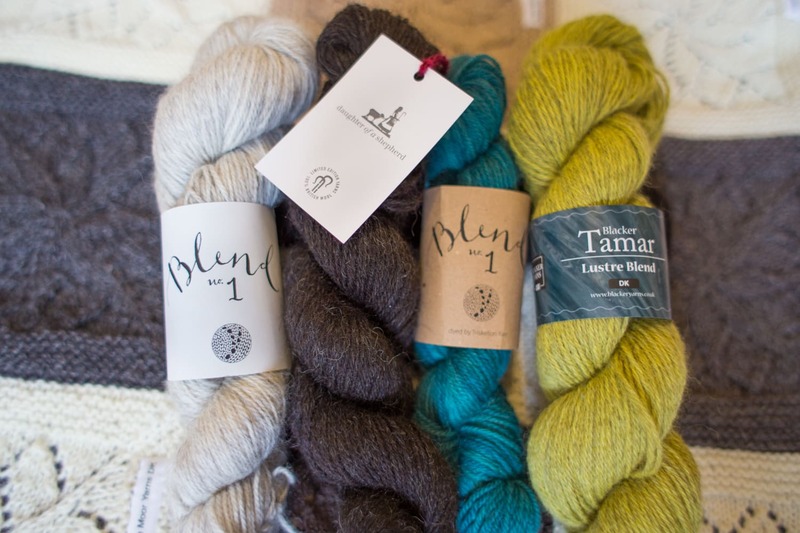 This year I was very keen to get Ysolda’s Blend 1, Daughter of a Shepherd, Blacker Tamar and Kettle Yarn Co Baskerville. 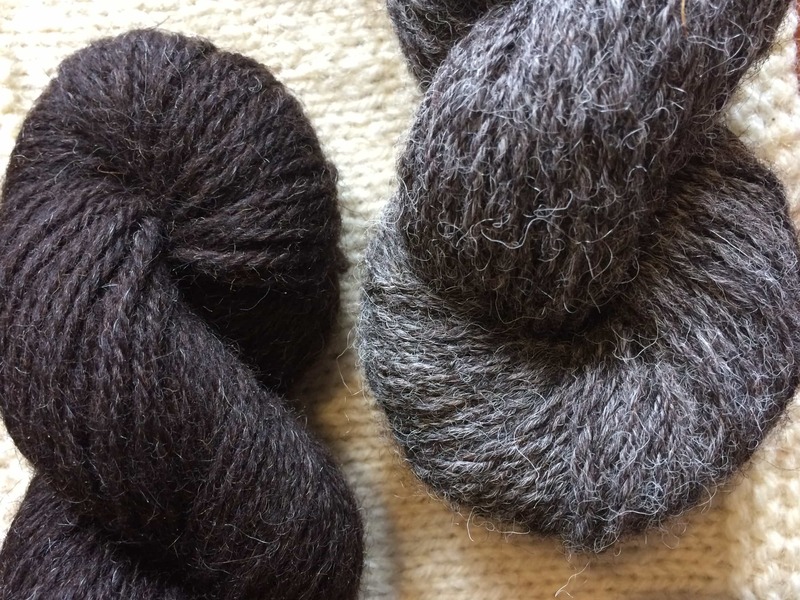 I was just blown away by Rachel Atkinson’s Daughter of a Shepherd Hebridean yarn – shiny, lustrous, soft, characterful; full of heritage and a real trail blazing yarn for showing how incredible British wool is and how lovingly yarn can be created from it. Also pictured here is the Baskerville and some Harvest Hues tops (Falkland merino and Zwartbles) and, far left, a very special and limited edition Wensleydale both from John Arbon. Ysolda Blend 1, both natural and dyed -by Triskelion Yarns – the Tiddy brook Tamar and the Daughter of a Shepherd will become a hap shawl. I could cast on a half hansel right away, but I am going to wait for Kate Davies forthcoming Haps book. 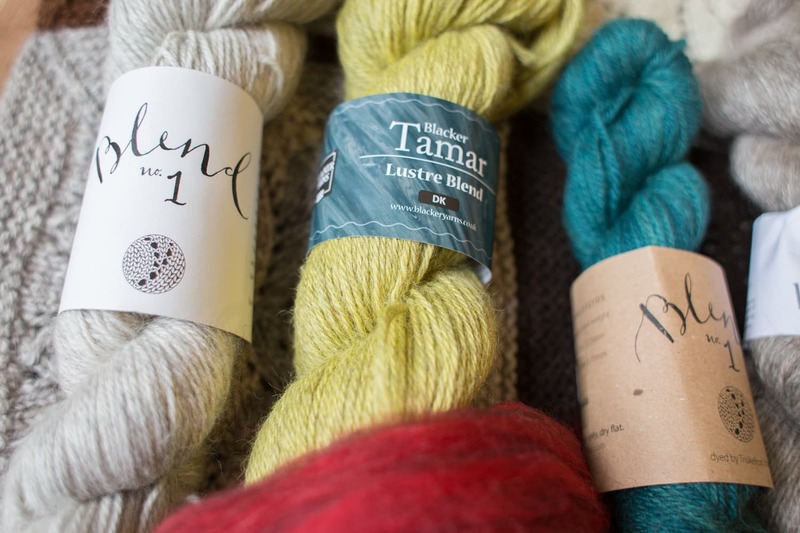 Kate and I have been talking haps recently and – never not feelin’ the love of haps – I had planned to get these special yarns to show off my special EYF purchases in an incredible hap design. I shall need to hide them away until the book comes out! 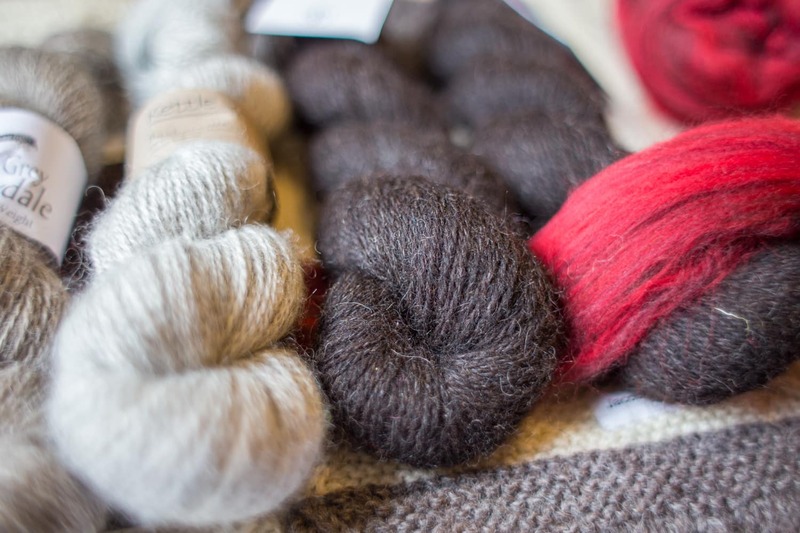 I love the idea of how these fibres – polwarth, merino, zwarbles; Teeswater, Wensleydale, Cotswold, black Leicester longwool, Cornish mule – will look with that lovely Hebridean. As Felix said in our chat, it i will be like a map of British wool and different textures. Very much like this incredible British wool and fibre blanket, made for me by the wonderful Cathy Scott, of Stitchmastery. I was moved to be given the vivid blanket. It says so much about the wool of the UK and of Cathy’s kindness and generosity. You can be sure I will be taking this blanket to future events. I also bought some Jacob fibre from Aphaia (the sheep was called Whizz! ), a beautiful brooch by TJ Frog and a niddy noddy from Once a Sheep (not pictured). When not purchasing wool at the weekend, I was pretty much immersed in it at the Podcast Lounge, with the lovely Blacker Yarns there and in the session that Sonja and I did on the evolution of the swatch, It was great to have so many people come over and get to know some of the wools, swatches and fleeces we had. People were particularly impressed and surprised to see how the swatches which had been washed, blocked and worn numerous times were different pieces of fabric from the swatches which has not been washed or worn. I think people were most pleasantly surprised by the Gotland and the Jacobs, as well as Blacker West Country tweed and Tamar. Thanks to everyone for their enthusiasm and I know lots of them went seeking out the wool to buy and take home with them! 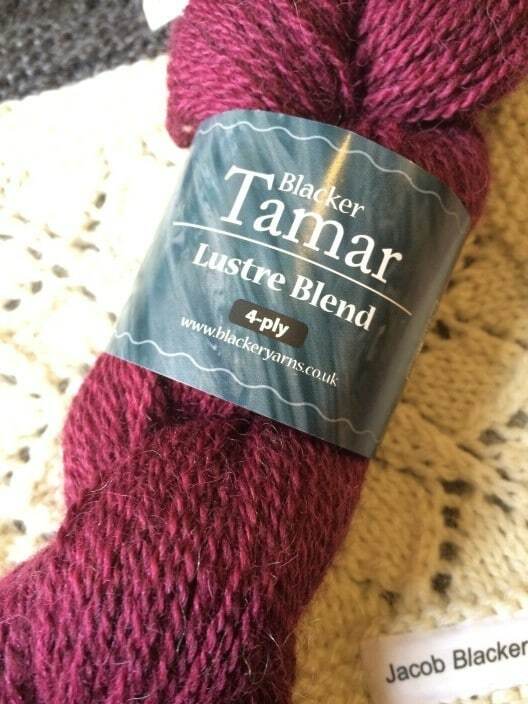 We recently had a KnitBritish give-away for a skein of Tamar in the KB Rav group (N.B. it is now CLOSED!) – I will be drawing a winner soon from the locked Ravelry thread, but I hand-picked a skein of 4ply Tamar in Red River for that lucky winner. Listen in to the next podcast (episode 57) out next month for the winner and thanks to Blacker for a lovely prize. As you know, I am terrible with names, but special mention to Silver Spring Knits most incredible shawl, Crafty Barb’s Gothic lace cowl, Jane’s scarf – a colorwork homage to the sheep, three years in the making. Meg’s first colourwork mitts, Mariette’s first brioche hat, Maylinn’s Buchanan and Emily’s Aranami shawl. 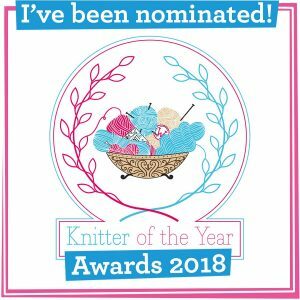 You can see all the projects cast on for this KAL here and now that the KAL is over, Isla and I will be choosing winners soon. As an aside, it has been an absolute pleasure co-hosting this KAL with Isla, I am sure we will do another one, one day, when we’re not all so KAL-ed out! I am still kind tired after such an awesome weekend and from chatting, laughing and having an incredibly wonderful time with so many like-minded souls. I feel like I have only given you a tiny facet of the weekend in this post and the last podcast, but suffice to say – while I am still gathering my thoughts on it – it was just amazing and everyone there was amazing too – especially all of the people who donated to my Podcast Lounge Goodie bags and I really need to list them below because they truly donated some special prizes, which were very gratefully received, with itchy knitty grabby hands of Paula and Ruth – congrats you guys! 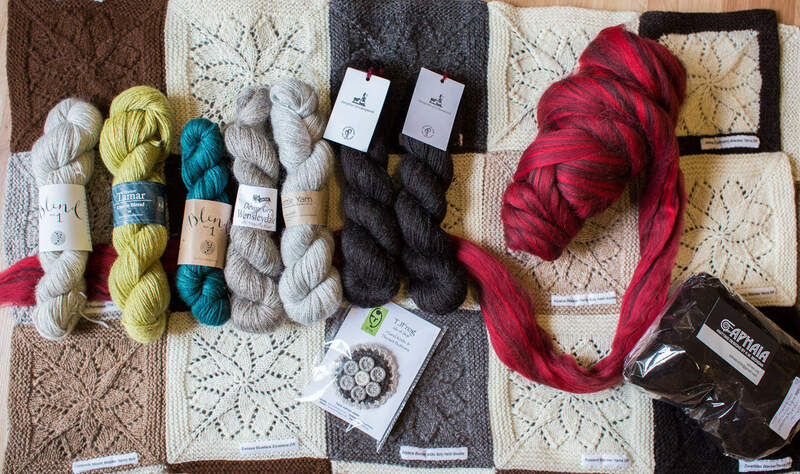 A lovely follow up to your podcast yesterday, I’m so glad you’ve shown a picture of the Jacob fibre as my imagination couldn’t do that half the credit is deserved…and love those samples…agggh I just want to dive in and pick them all up…I can almost smell the sheepiness from where I’m sitting. thanks so much! It was a great weekend! Hi Louise, I just saw the blanket on jenireid’s instagram. I haven’t listened to the podcast yet, sorry. I’ve done a quick search on Ravelry and IG and haven’t seen much more info on this. I’d love to see more pictures of it, it’s gorgeous. OK, I see you said the pattern was called Vivid by Tincanknits. Found it on Ravelry. It’s really nice. hello! yes, sorry. It was easier at the time and where I was (unsecred WIFI) to reply via social media than log into wordpress. 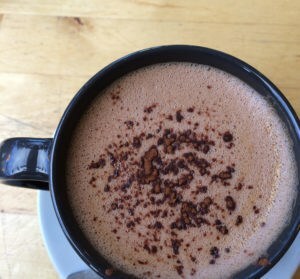 I also put the pattern name in this blog post too and linked to it. Feel free to ask q’s like this on social media, where I am tagged. It may give a quicker reply. 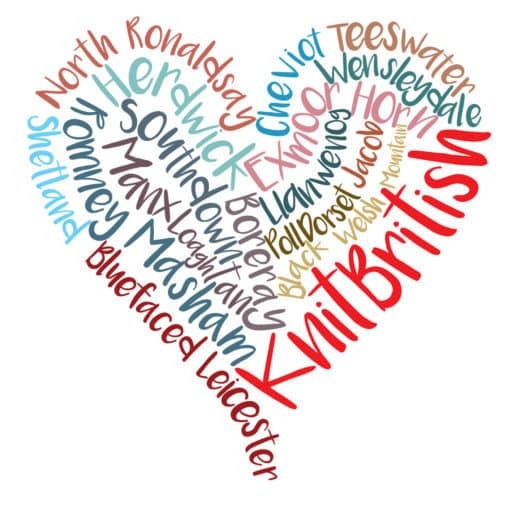 I am @Knit_British on both twitter and IG! I hope you feel inspired to cast one on! It took me right back at EYF…. I d love the yarn that you got from the festival, very lovely colors!